Christopher Wescott picked up weights to build strength, but then bodybuilding captured his imagination. Joining the Air Force made him set his physique sights even higher. Learn where he’s been, and where he’s headed! I got started in the ninth grade. A couple of my friends and I were fooling around with a lat-pulldown machine and everyone could perform repetitions quite easily except me. So I asked one of the teens at church "how do I get strong?" and he told me to do 20 push-ups before I go to bed and he also gave me a set of 10 pound dumbbells. So every night I did what he told me and soon enough, I was the one doing all the pulldowns and they were the ones that were admiring. 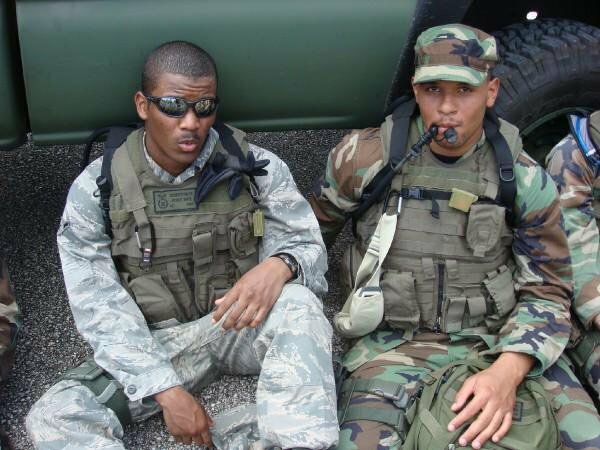 I got really, really serious when I enlisted. I began dieting correctly, reading countless books and taking the proper supplements. The hardest part of the transition was the lack of freedom in Basic Training a.k.a "Boot Camp". I was used to doing whatever I wanted, when I wanted and how I wanted to do it. But as soon as I stepped on to Lackland A.F.B, our instructors told us what to wear, how to wear it, what to eat, when to eat, what to drink, how to talk, etc. It was totally different compared to the civilian life. 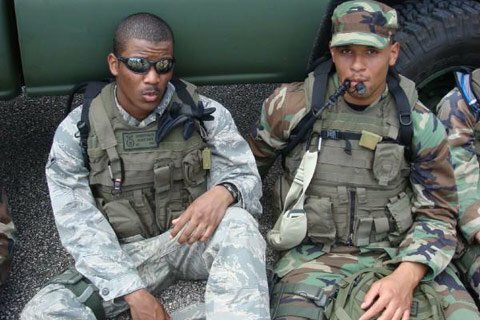 In the military, perfection is the standard but on the civilian side, satisfactory is the standard. You also realize that your actions affect other people and the military helps us understand that as well. not only yourself but others as well. In all honesty, I believe that there is no obstacle in leading a military life. It is a simple life, you do what you are told to do and stay out of trouble. As long as you follow directions, study your job and shoot for excellence in all aspects of life, you will be ok. I find that working out every muscle once a week works best for me. 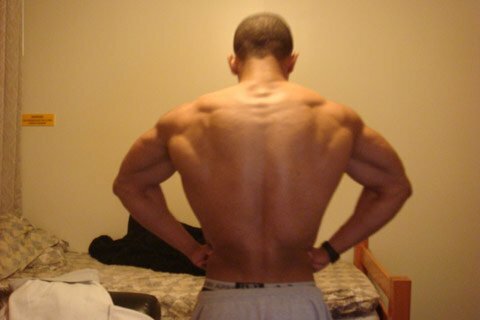 If you think about it, most back exercises involve the biceps, most chest exercises work your triceps and vice versa. So if you do every muscle twice a week, it&apos;s kind of like you are working them out four times a week which can eventually lead to overtraining. I am a big fan of pull-ups, so on back days I do 10 sets of 10 with about one minute in between sets. For about a year I would go into the gym on chest days and do flat bench first. I was seeing gains, but my upper chest was falling behind because I could never reach my full potential on incline press due to fatigue caused by the flat bench. So this year I began doing incline press first and the gains were phenomenal! For big muscles I like to do around 12-13 sets and for smaller muscles like abs and calves, I do around 10 sets. Working out abs every other day works best for me, and same goes for calves. One trick that a lot of people don&apos;t really do is flexing at the top of their movement. Flexing at the top of the movement is one of the most important thing you have to do in order to fully incorporate every fiber of that muscle. Military Bodybuilder of the Month Christopher Wescott. *During the day I also drink at least 120 oz of water. As far as pre-workout I would say that Optimum Nutrition&apos;s Whey Protein because of all the BCAAs and glutamine per serving. I also love Axis Labs Hemodraulix because it gives me that extra boost that I need to get through the workout. As far as recovery, Higher Power Creatine is all you need. 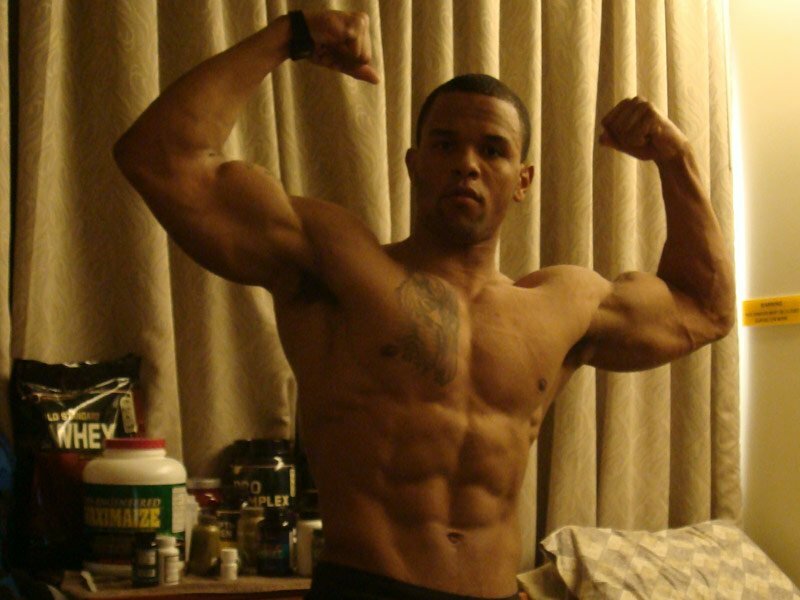 My future bodybuilding goals are to increase all my max weights by 50 pounds before 2010. I want to add one inch to my biceps and work on my legs a little bit more. 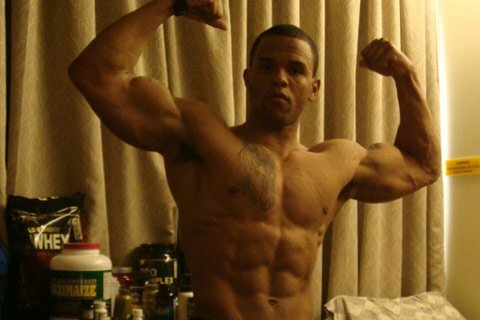 Eventually, I want to win a couple of bodybuilding competitions and hopefully get my pro card before I am 27. Ronnie "The King" Coleman and Arnold Schwarzenegger are my idols. I watch Ronnie&apos;s "Relentless" and "Cost of Redemption" DVD at least once a month. I am always trying to emulate him. His work ethic for someone his age is just unbelievable. But even though he won more Mr. Olympias than any other person, I think that Arnold had the best physique ever. His attitude and confidence was displayed in "Pumping Iron" and I think every bodybuilder needs to be that dedicated and confident in order to be the best. Every muscle on Schwarzenegger was so detailed and perfect, nothing was unproportioned. His encyclopedia is my favorite book; I recommend it for anyone who wants to start bodybuilding or for anyone who is already bodybuilding. It&apos;s full of nutrition tips and helpful exercises. I am always trying to emulate Ronnie Coleman. One tip that I would give to other bodybuilders is that bodybuilding is not a sport; it&apos;s a way of life. If you don&apos;t devote every aspect of your life to perfect your physique, then you are just wasting your time and money. You need to think about it day and night, 24 hours a day and seven days a week. As I always say "Go Big Or Go Home!" Sign Up To Win $50 in Store Credit!